An oddball twisted retelling of the story of Hansel and Gretel. Where Hansel has to where a tuna can over his mouth out of fear of destroying everything with his voice. Gretel is a girl who prefers to beat up bullies with a bokken. 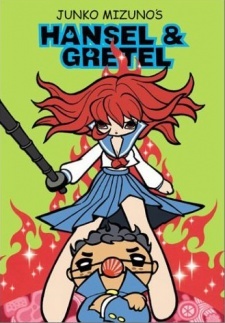 Hansel and Gretel was published in English by VIZ Media on April 16, 2003.